This tutorial is composed of more than 50 photos, 43 steps and 17 plus pages. Detailed step by step instructions to make inexpensive cord end caps that can be used in beadwork for crochet beaded ropes, or peyote stitch ropes. Create cord ends for leather that match your pendant. Cord ends can be made in various sizes to fit thinner cords or thick Kumihimo knotted ropes. For those not familiar, Kumihimo is one of the hottest trends. It's a Japanese braiding technique. 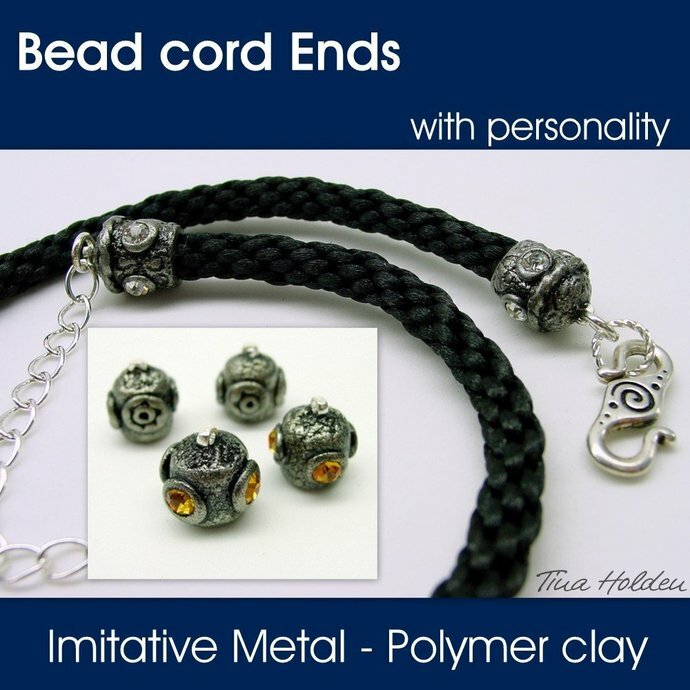 The cord ends can also be used for your bead-work, your viking knit and other wire-work and will give your creations a more one of a kind and less generic look. Some very basic materials and tools are required as well as knowledge of basic conditioning of polymer clay.